APS Polished Aluminum IRunning Boards are the perfect upgrade from your standard OEM boards. Utilizing high-quality materials and mirroring the design of the Apple Iphone, you are getting style and durability. Each solid one piece board is built to hold up to daily use. Each 6" wide board is coated in shiny polished finish. The heavy-duty aircraft 6061-T6 aluminum construction has raised ends that act as mud guards. 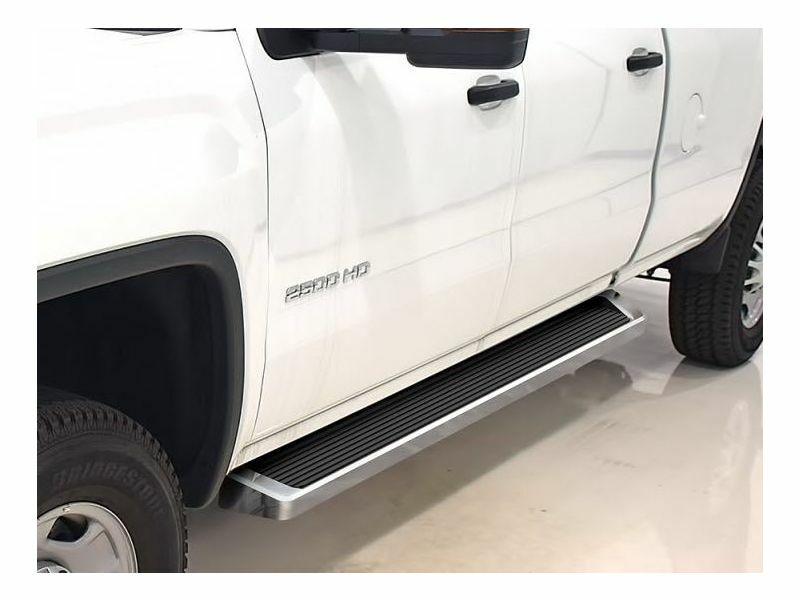 Featuring high grip rubber tread, you don't have to worry about slipping as you step up into your cab. Sold in pairs, the APS Polished Aluminum IRunning Boards are backed by a one year warranty. No drilling is required on most applications. Each set comes complete with all installation hardware.